Why is he here? Genius who shied away from big clubs proving money isn’t everything. Regular 30-yard goals also made any live Southampton game in the ‘90s unmissable. Le Tiss: As Shaun Wright Philips kicked his heels on the Chelsea bench at the Nou Camp last season, he must’ve wondered had he made the wrong decision in quitting Manchester City. Essentially, his lack of playing time meant that he had traded first team football at a 50,000-seater stadium to get great seats during Chelsea’s Champions League games. Over a decade earlier Matt Le Tissier had the same decision to make when AC Milan came sniffing around. They were the kings of European football – Maldini, Baresi, Savecivic, Boban and much more on their teamsheet – they wanted him to provide a link between midfield and attack. Le Tissier, as he had done to Spurs and Chelsea before, told them ‘thanks but no thanks’. He was a Southampton player and not Terry Venables, Ken Bates or even Silvio Berlusconi couldn’t change that. Scorer of some of the finest goals ever seen in the Premiership, Matt Le Tissier had a heart as big as his arse, which, as his teammates loved to point out, was massive. His name means ‘The Weaver’ in French and he lived up to this. Not by making scarves or wigs of course but by slinking through defences with ease. Born in Guernsey in 1968, to say his talent was too big for the island is a bit of an understatement. 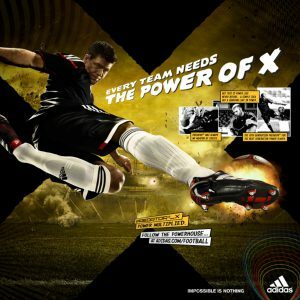 This is a man who, so the legends say, scored regularly from corner kicks in an effort to amuse himself during games. At 16, he had done enough to impress the scouts at, wait for it, Oxford United, gaining a trail with the club. In what must rank as one of the dumbest decisions ever made by a youth team coach, Le Tissier was told he was talented but overweight and was duly sent home. In May 1985 though, Southampton has no such issues as the First Division club signed him up. He spent the following season graduating through the ranks before making his league debut on 2 September 1986 at The Dell. By 2002, retired with 513 appearances and 208 goals in between, he would have a hospitality suite at the club’s new ground, St Mary’s named after him. Okay it’s not a stand, but give it time and the Matt Le Tissier terrace will appear at some stage. In his first season the highlight was a hat trick against Leicester and over the following few years he would start to build a reputation as an unpredictable but dangerous talent. He took over penalty duties for the club in 1989-90 season and from there until he hung up his boots his talent from the spot saw him score 49 out of 50 penalties attempts. The only save came at the hands of Nottingham Forest’s Mark Crossley. Although it’s hardly something to be ashamed of considering Crossley pedigree; he is one of only two keepers to have ever saved a penalty in the FA Cup final, beating away Gary Lineker’s effort in the 1991 showpiece. By the end of the 1991 season, Le Tissier had done enough to be named as PFA Young Player of the Year. That summer Tottenham Hotspur, who had just lost Paul Gascoigne to Lazio, offered him a contract. He signed on the dotted line, only to take another day to think things through and in a move that he claims he never regretted, he tore up the contract. Chelsea and AC Milan never even got as far as even a ripped-up deal in years to come, Le Tissier was by now unmoveable. 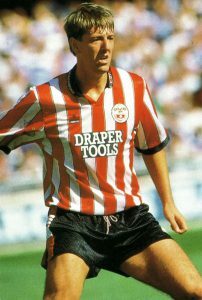 As the Premiership years began, Le Tissier cemented his reputation with 30 goals from midfield during the 1993-94 season. One of the highlights that year was a Monday Night Football classic, when he scored a double against Newcastle; the first a brilliantly deft volley that screamed into the top right hand corner; while the second saw him flick the ball from behind, lob one defender, beat another and slide the ball beyond the keeper (check out our link below, descriptions don’t do it justice). The next season he scored the goal of the year, and his personal favourite, in an away match at eventual champions Blackburn Rovers. Picking the ball up just outside the centre circle, he beat two men in midfield before planting a curling 35-yard shot into the top corner beating Tim Flowers. If one goal was to sum up his career this may have been it; spectacular genius in the face of defeat. Blackburn won 3-2 that day as even Le Tissier’s best couldn’t paper over the cracks of the Saints squad. Quite often he was superb as his teammates capitulated, although at the same time if things weren’t going their way he was often an unproductive presence on the pitch. Whatever your opinion on him, it’s without question that he was the main reason Southampton stayed in the top division year after year. Until he retired in 2002 he would go on scoring brilliant efforts. There was the careful lob over Peter Schmeichel as his team beat Man United 6-2; the 25-yard volley against Newcastle that rescued a point in injury time; the genius flick and volley free kick against Wimbledon. Yes you can point to the fact that he only got eight caps for his country; but have England managers ever been able to handle talent? Certainly Graham Taylor didn’t look as though he could and perhaps Venables still had a bone to pick with Le Tissier over the reneged contract at Spurs during his tenure as English coach. But even the fact that Matt likes Shania Twain can’t put us off. The man who made watching Southampton a necessity signed off in a manner that all players should dream of. On 19 May 2001, in the dying minutes of the last Premiership game at The Dell, Southampton were drawing 2-2 with Arsenal when Le Tissier, by now plagued with injuries, came on as an impact substitute. One curling effort from the edge of the 18-yard box later and it was 3-2; Le Tissier’s last minute winner couldn’t have been sweeter. He only made a few appearances at St Mary’s the next season, calling time on his playing days in March 2002. The sneaking suspicion is that if he had of moved at any stage during his 16-year career he might not have ended up on our Legends page. Then again perhaps he could’ve been a Serie A hero, or even led Chelsea to a league title long before Roman’s millions intervened. None of the above happened though, and frankly who cares – he did enough to illustrate just how great a footballer he was with Southampton. Legend? No question.